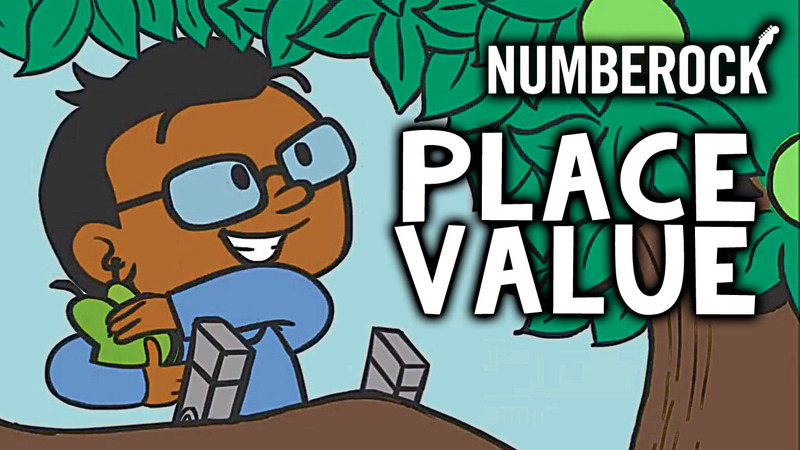 This Earth Day show your students just how much we all think Mother Earth is worth. 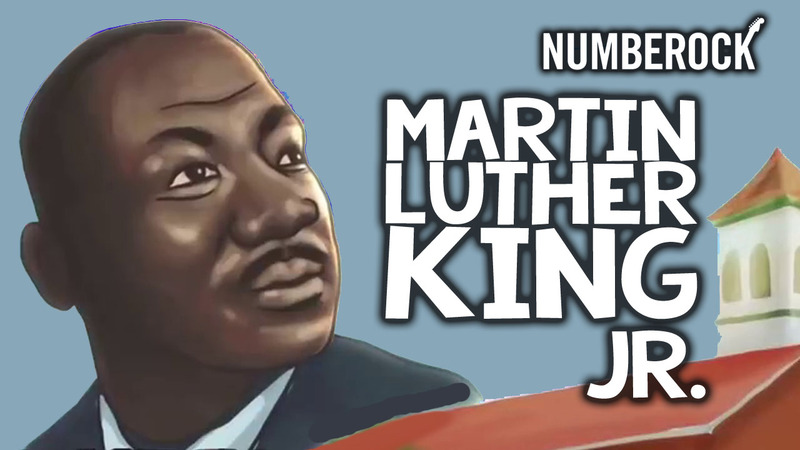 Learn all about the Civil Rights icon Martin Luther King, Jr.
Ride along with Rob as he drives through the country side learning about place value. 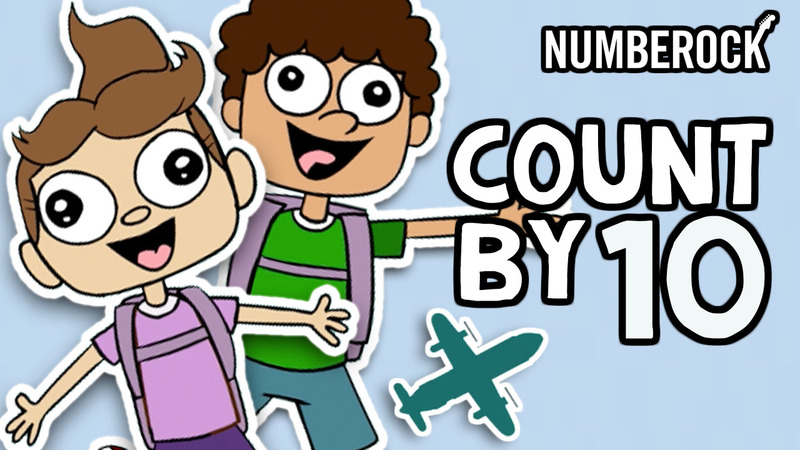 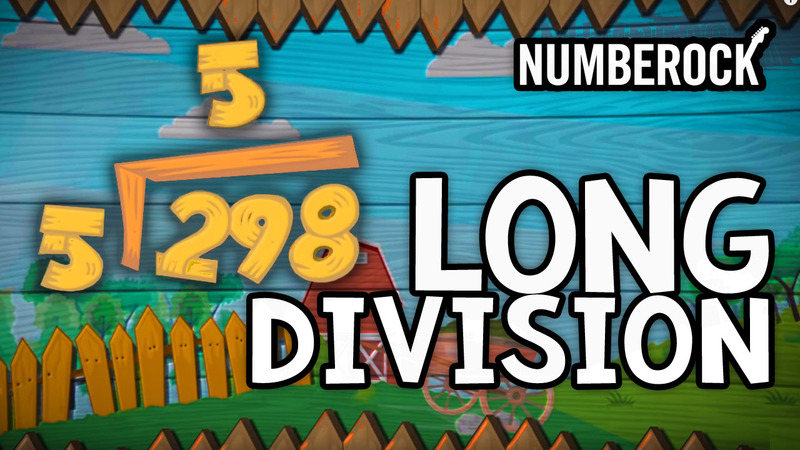 Learn to count by 5’s with Ben and Lindsey as they take a hot air balloon ride! 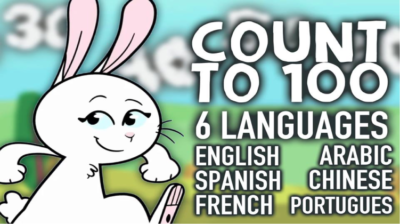 What’s My Rule, you ask? 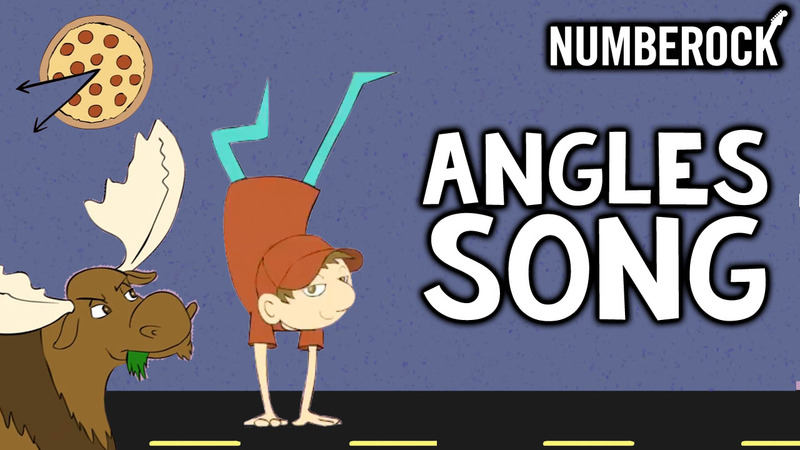 This song will show you how to find out! 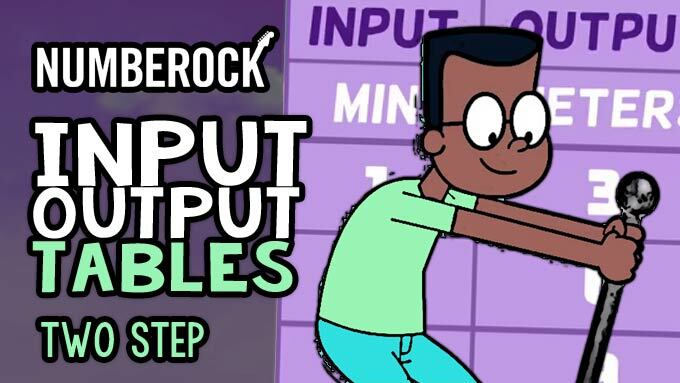 Learn all about input output tables in this modern pop song. 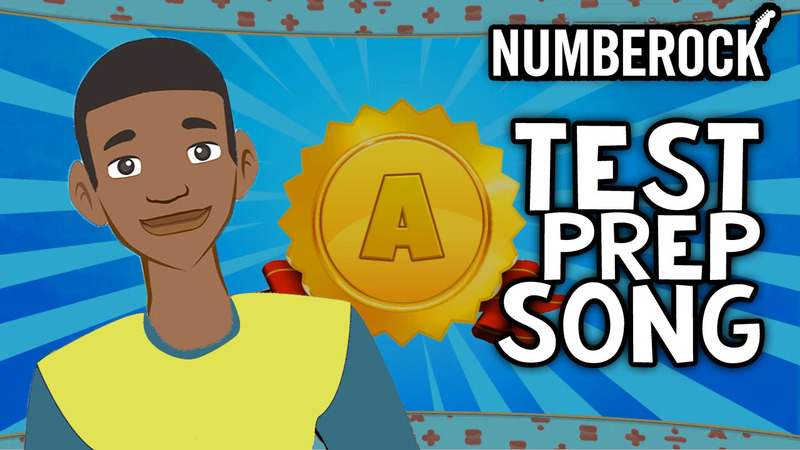 Motivate your students to succeed in the classroom this year by playing them this song. 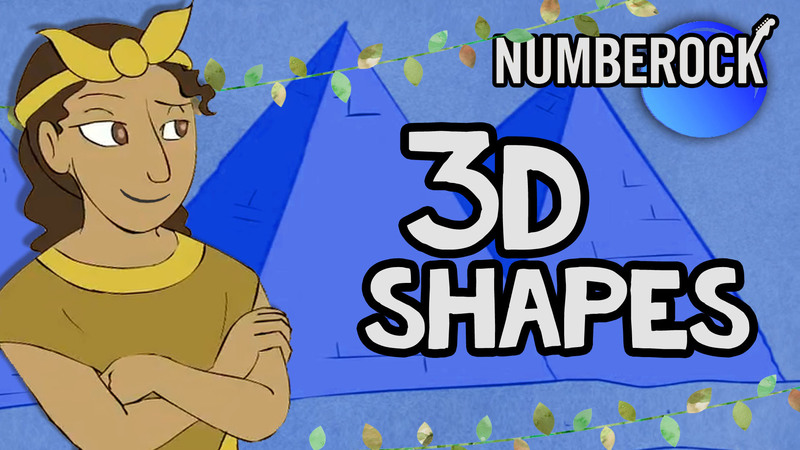 Includes the most common 3D shapes: Spheres, cylinders, pyramids, cubes, and cones. 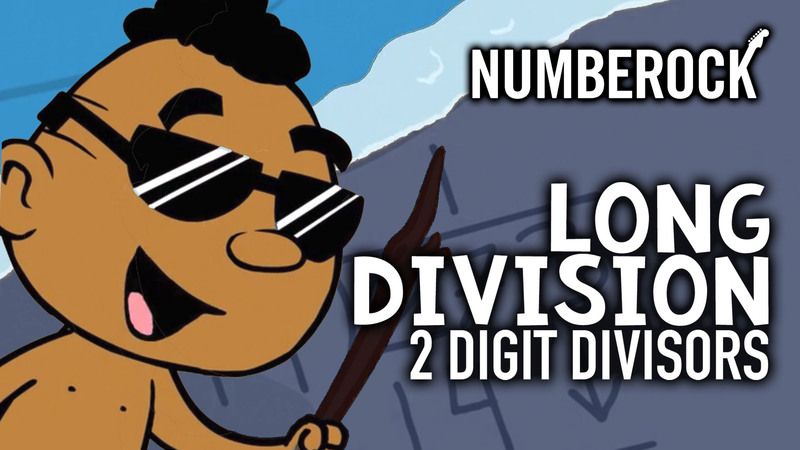 Watch Slater walk around his hometown marsh and swamp in this LTGT video. 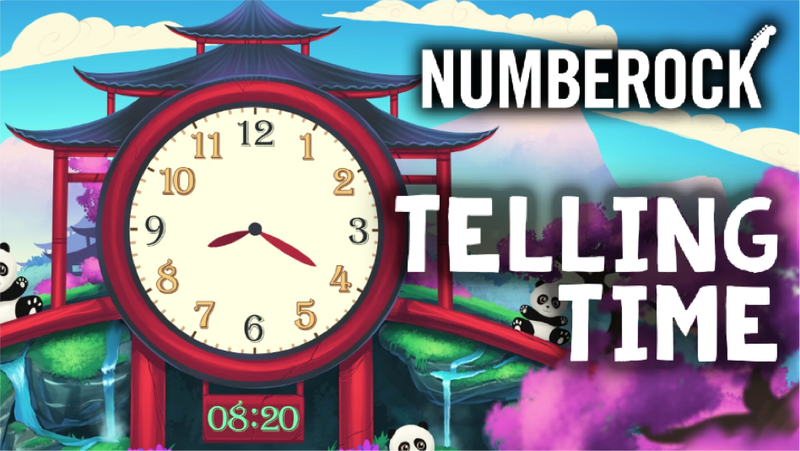 Learn how to tell time on different clocks in far away lands. 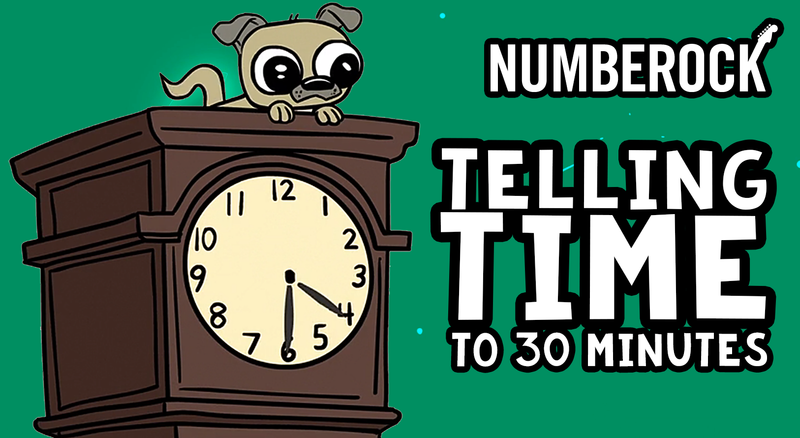 Gerry will teach you all about telling time to the nearest hour and half hour. Gerry will teach you all about telling time to the nearest five minutes. 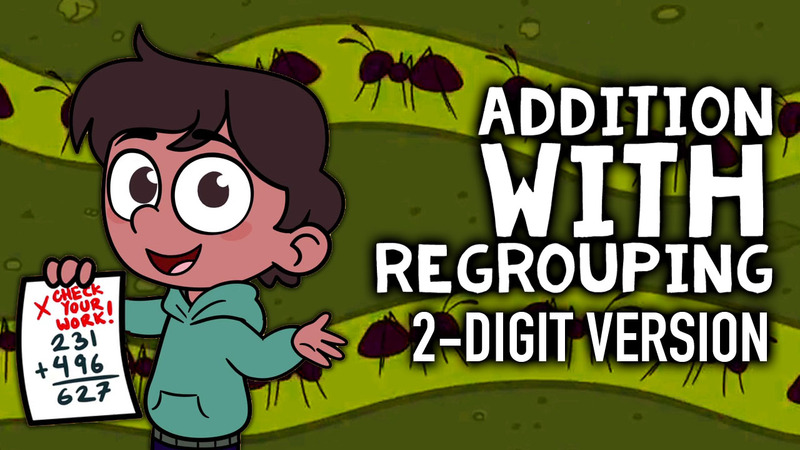 Add and regroup chickens and ants with Marcos and his brother Jose, on their farm. 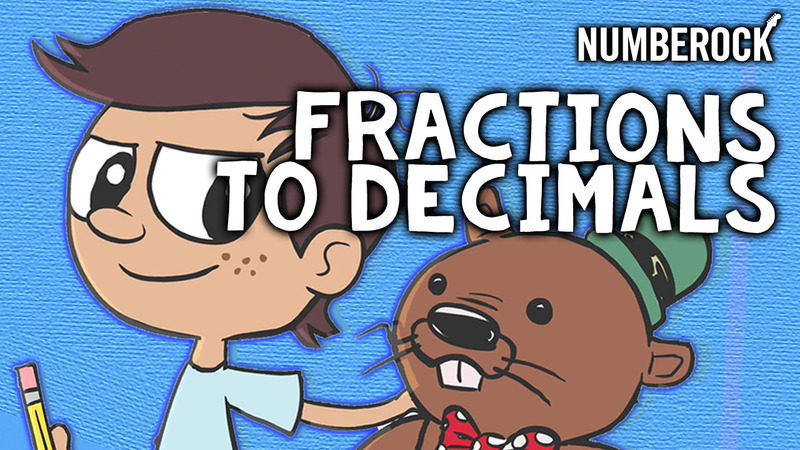 Follow Davey around as he asks his best friend Steve how to convert a fraction. 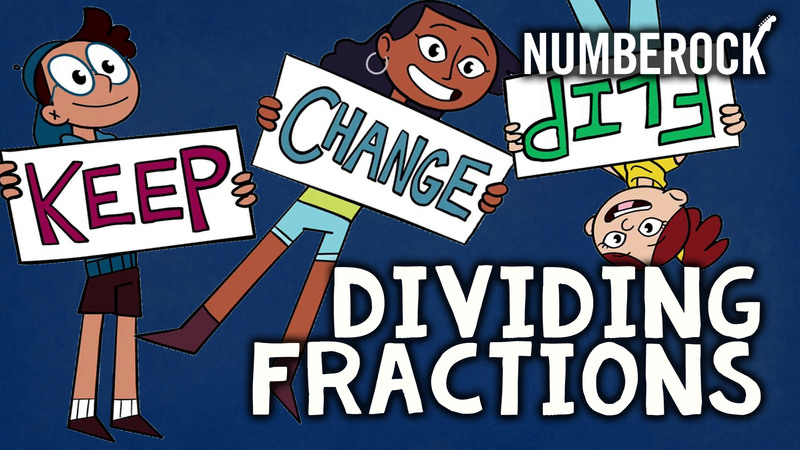 Watch three friends vocalize together in this rap song about dividing fractions. 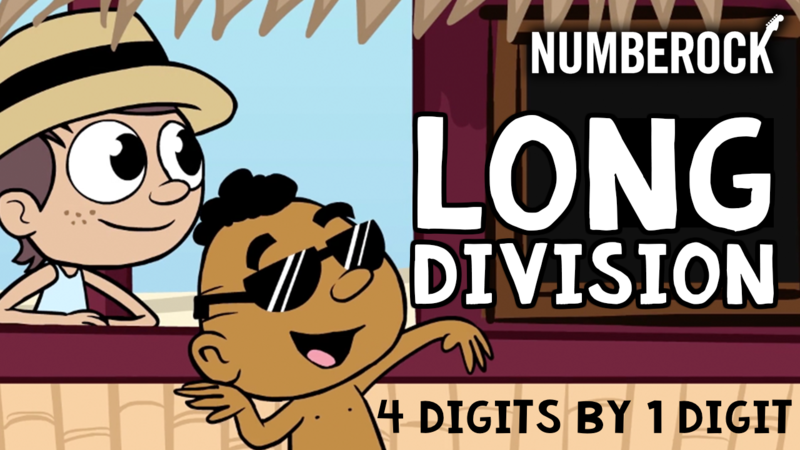 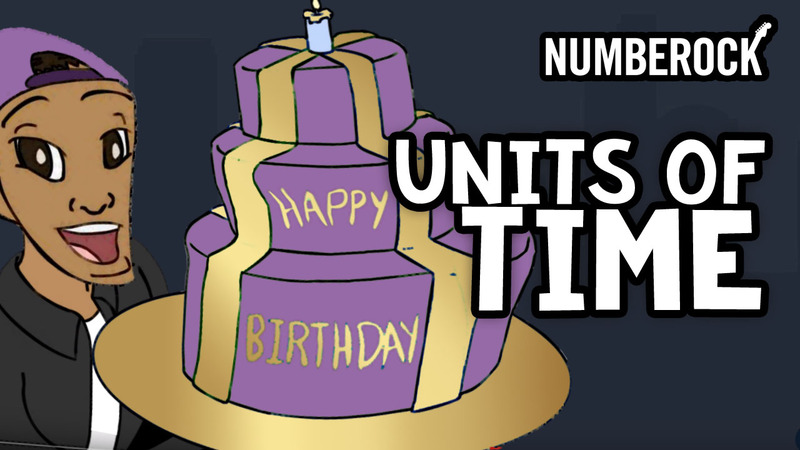 Erika discovers integers in the most fun real life situations. 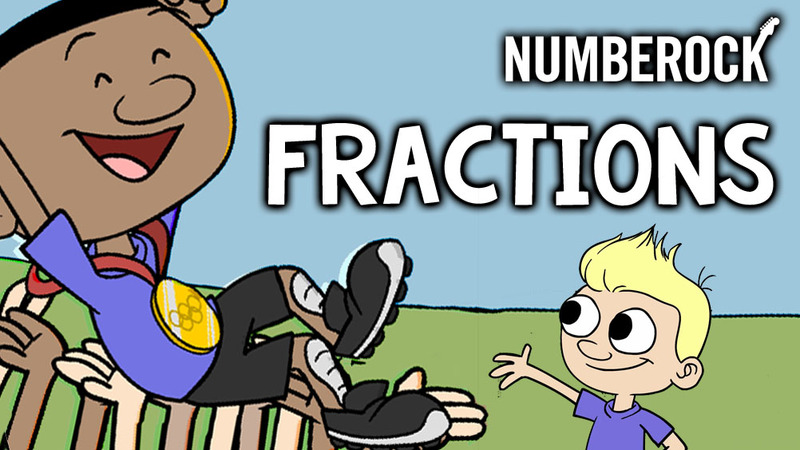 Join Benny in his school where he is investigating fractions on number lines. 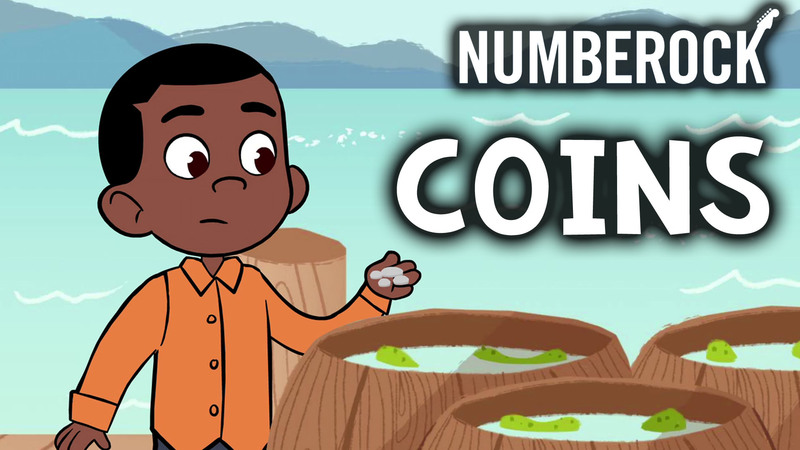 Gerry’s in his hometown by the sea as he investigates the values of common coins. 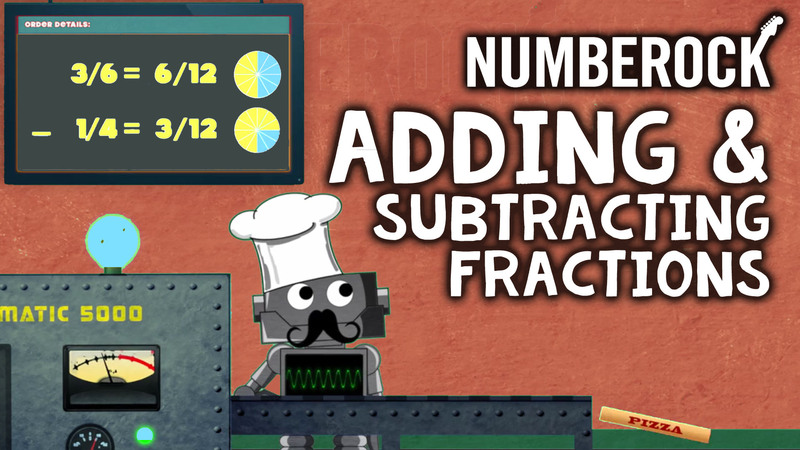 Zigon takes orders and then adds and subtracts fractions before the Pizzamatic-5000 serves up pizzas! 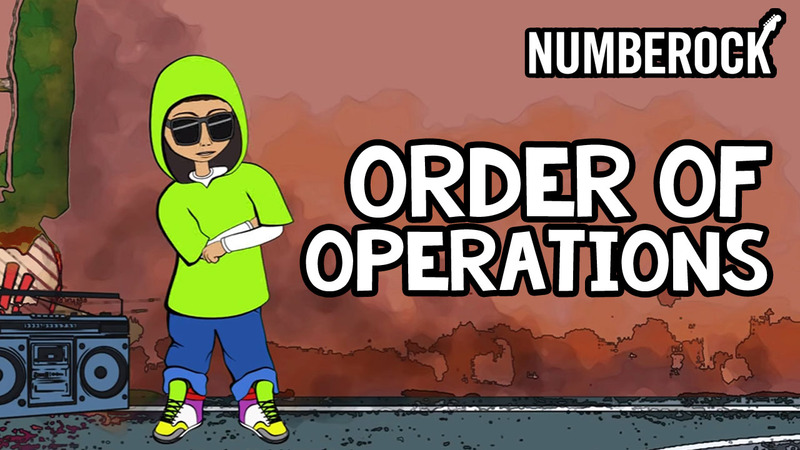 Earl, our favorite pizza delivery man, takes us on his route for a day. 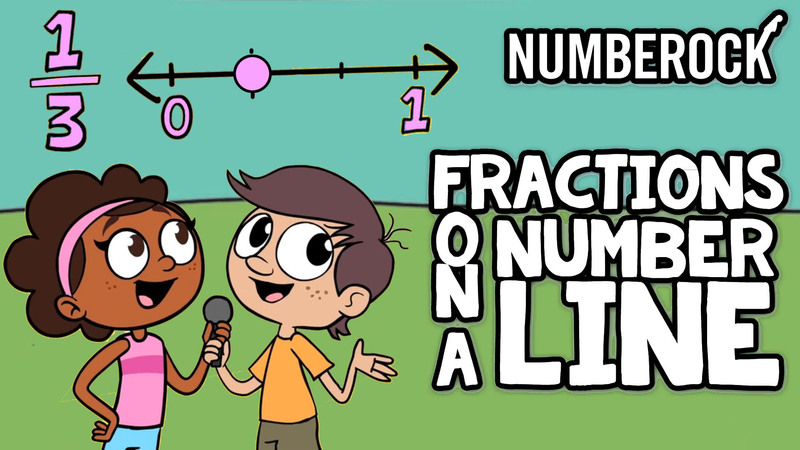 You’ll love learning about fractions as we eat pies and see birds in the skies. 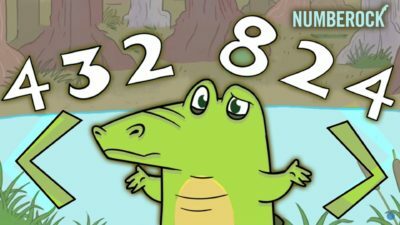 Slater is a very hungry alligator who always eats the number that is greater! 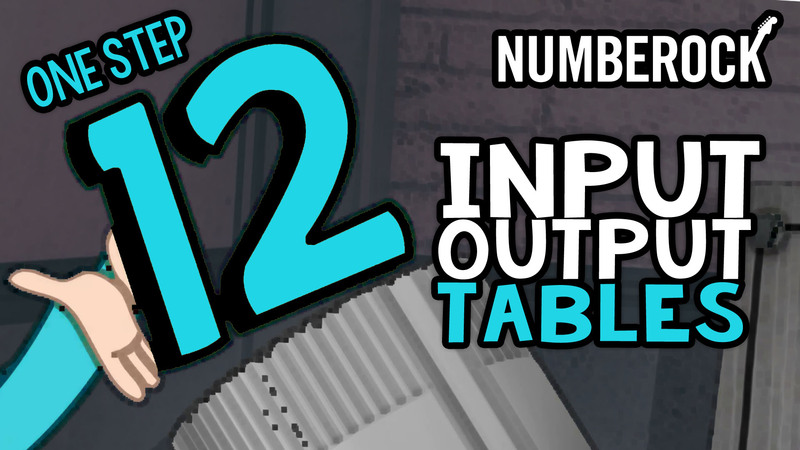 The 12 times table, but like never before! 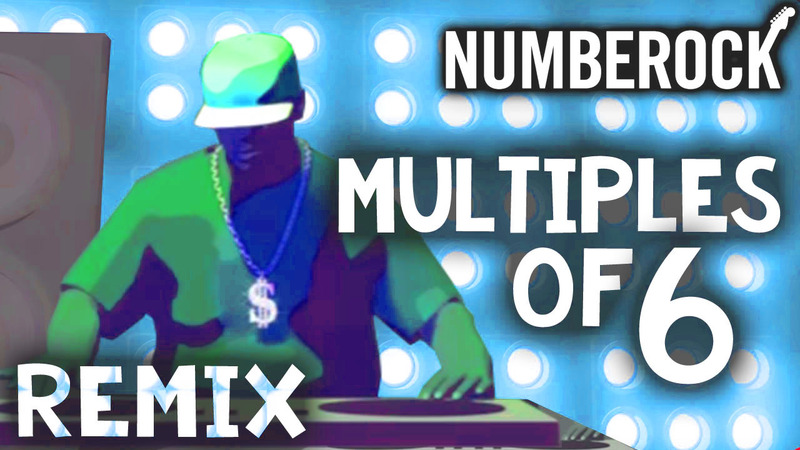 Rock the multiples of 12 with this fun EDM song! 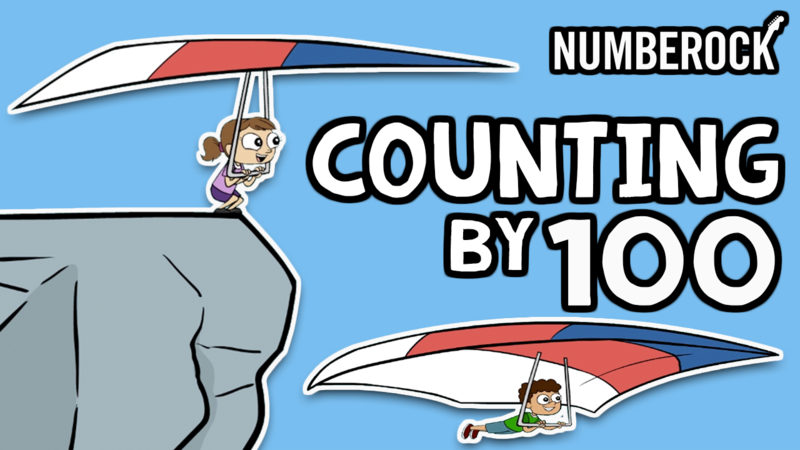 Learn to count by 100 with Ben and Lindsey as they take a hot air balloon ride! 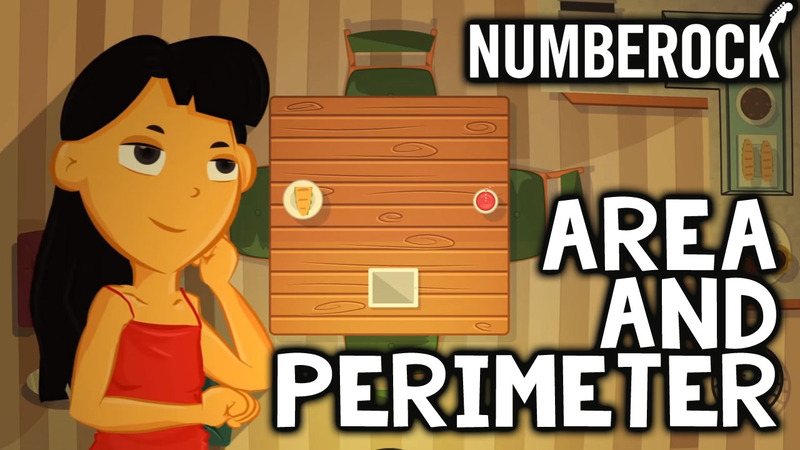 Pull up a chair at our table to learn about perimeter and area. 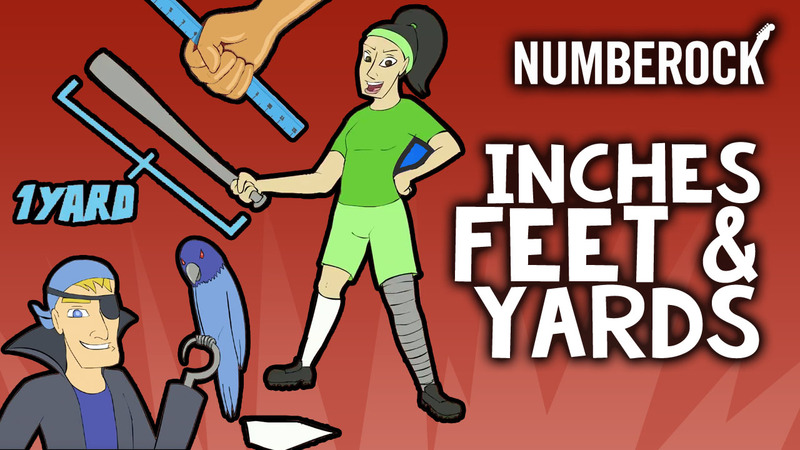 Watch Yolanda explore various objects that weigh ounces, pounds, and tons. 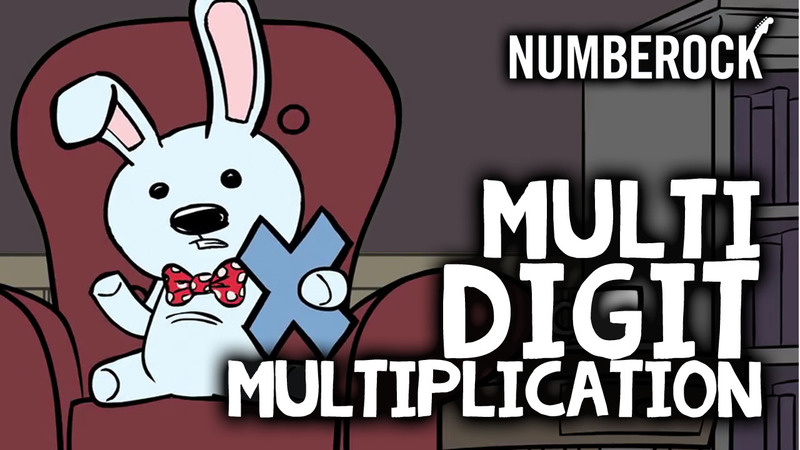 One thing that’s certain is that Order of Operations was never this fun and exciting. 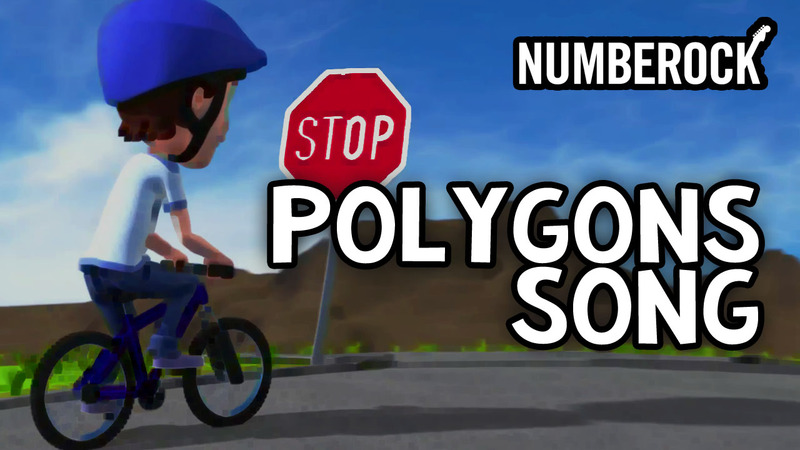 Alan kite surfs, skateboards, bikes, dives, and explores space as he learns about polygons. 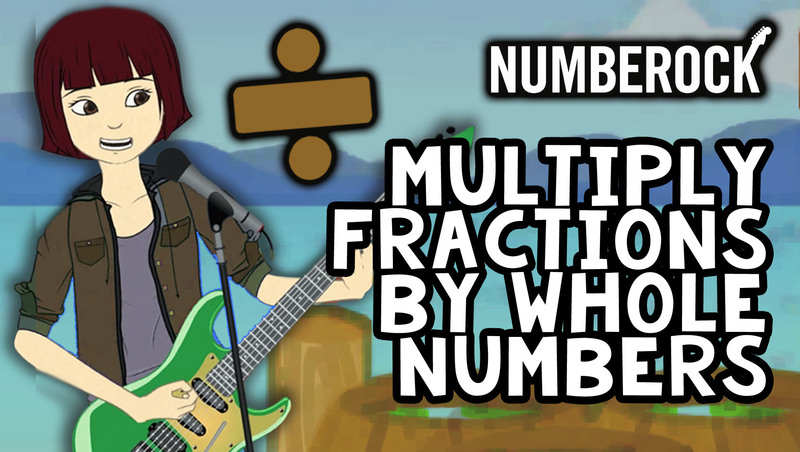 Multiplying Fractions by Whole Numbers shows up in your daily life all the time. 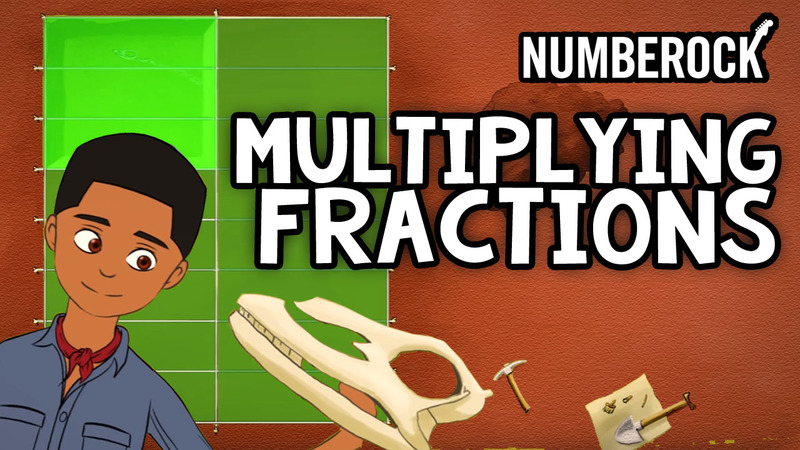 Did you know that scientists now agree that there was a dinosaur called the Brontosaurus? 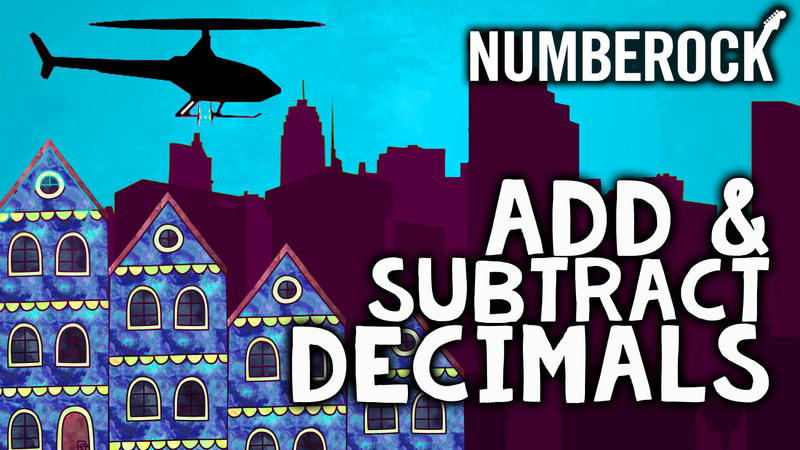 This song is about real life examples of the most common units of metric length. 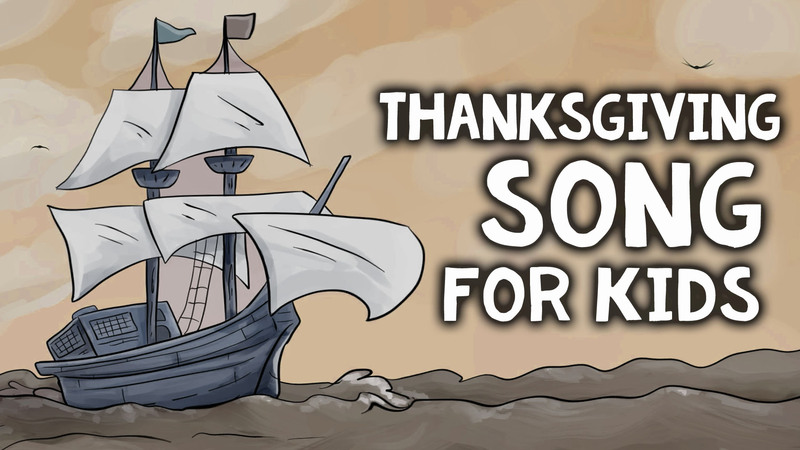 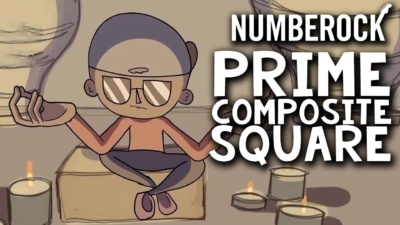 Memorize the prefixes in the Metric System than through this big band sing along. 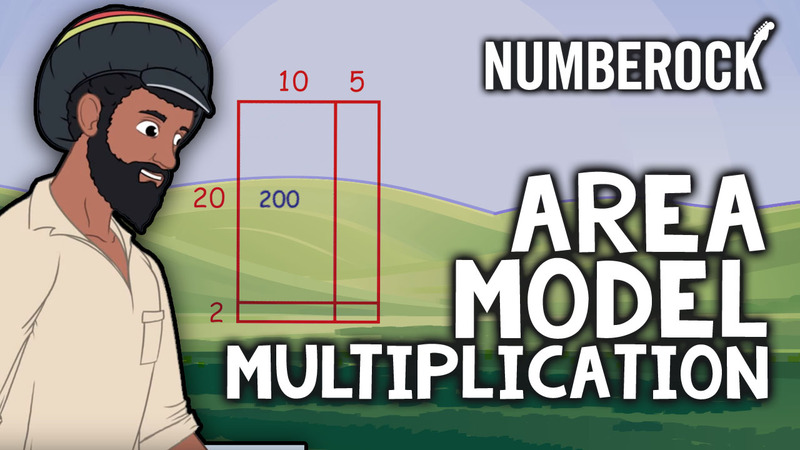 This song will teach or reinforce the concept of volume and cubic units. 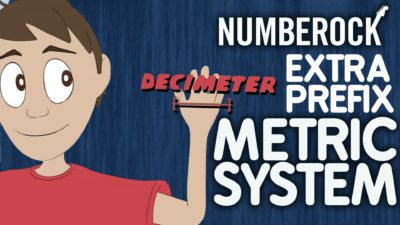 Learn about the way humans have come to measure time. 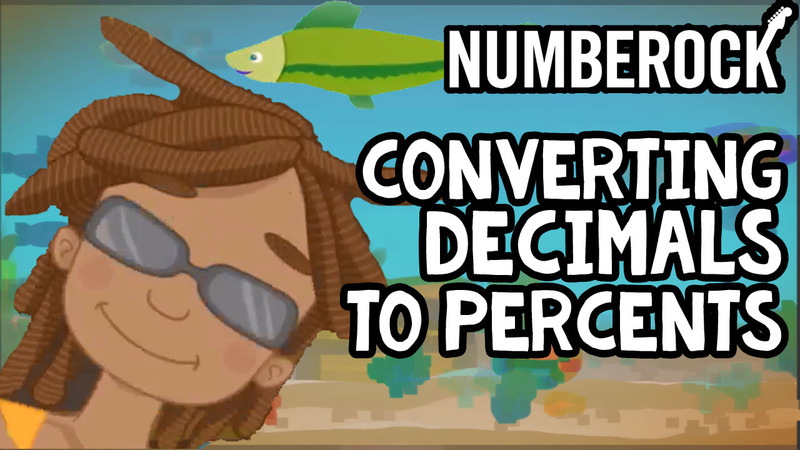 Godzilla goes underwater in this video to chase fractions and submarines. 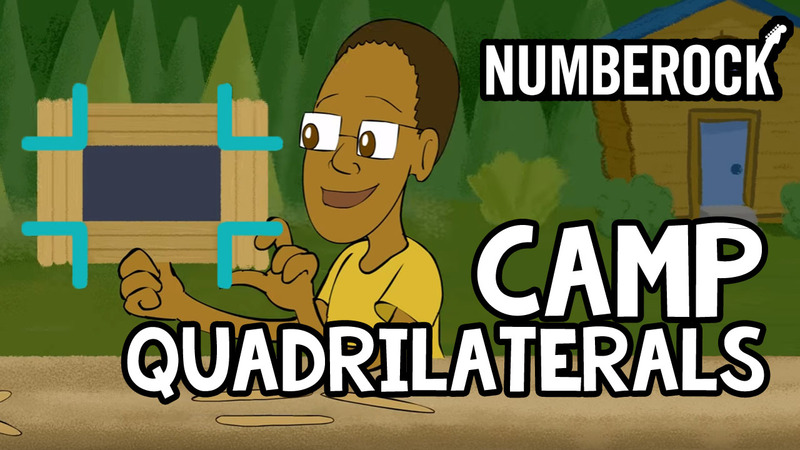 Come join in on the fun at Camp Quadrilaterals as we learn about 4-sided shapes. 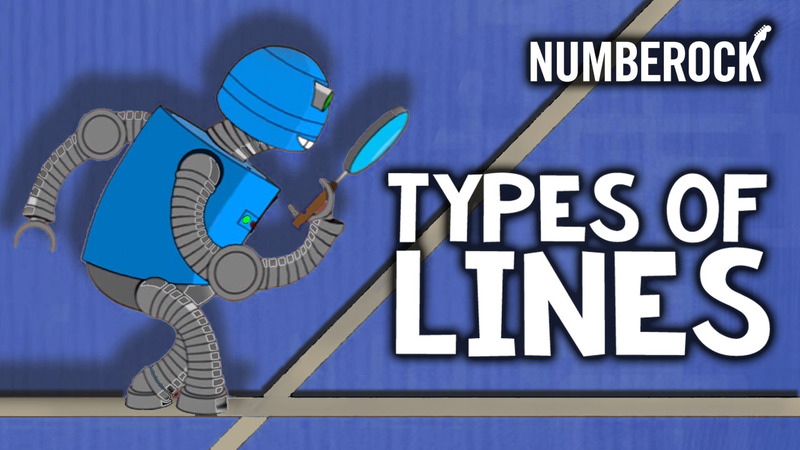 You’ll be amazed as you learn about parallel, perpendicular, and intersecting types of lines. 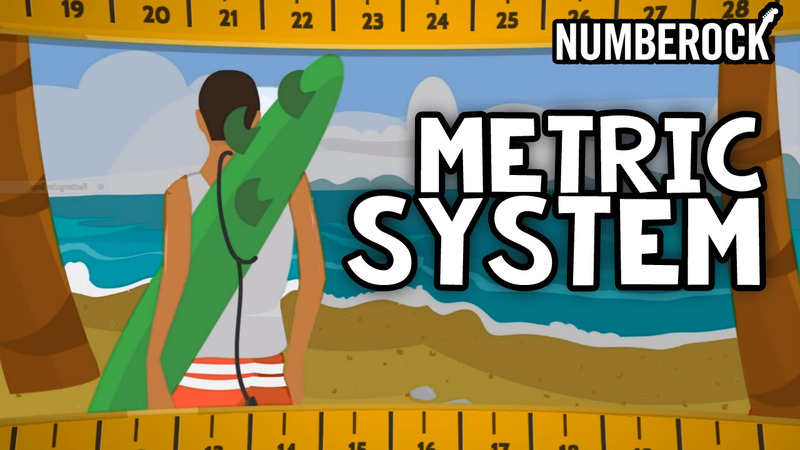 What do superheroes have to do with measuring things in inches, feet, and yards? 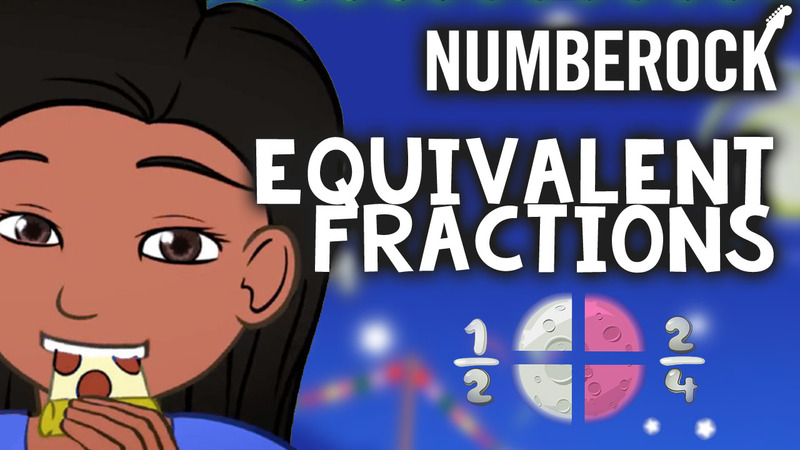 Equivalent fractions is the name… of fractions whole values are the same! 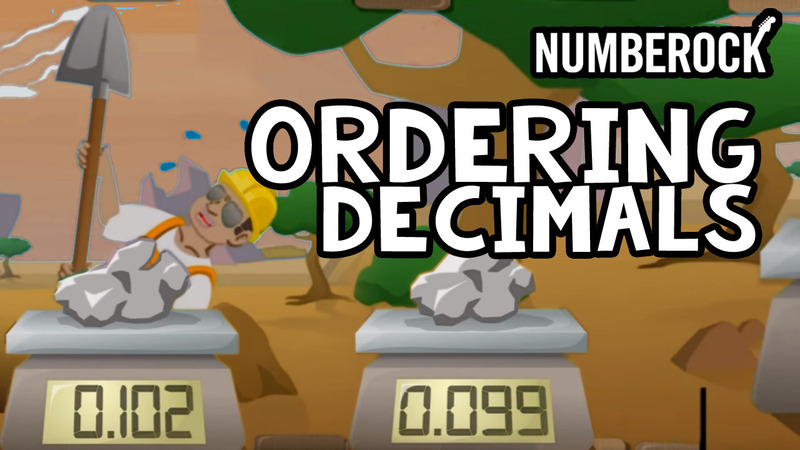 Investigate the values of gold coins, pieces of silver, and even watch decimals fly. 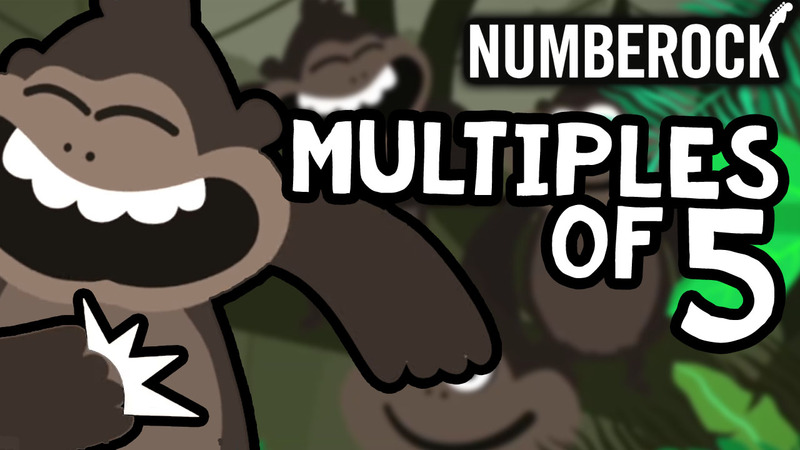 Learn about the fundamentals of grouping, place value, and multi-digit multiplication. 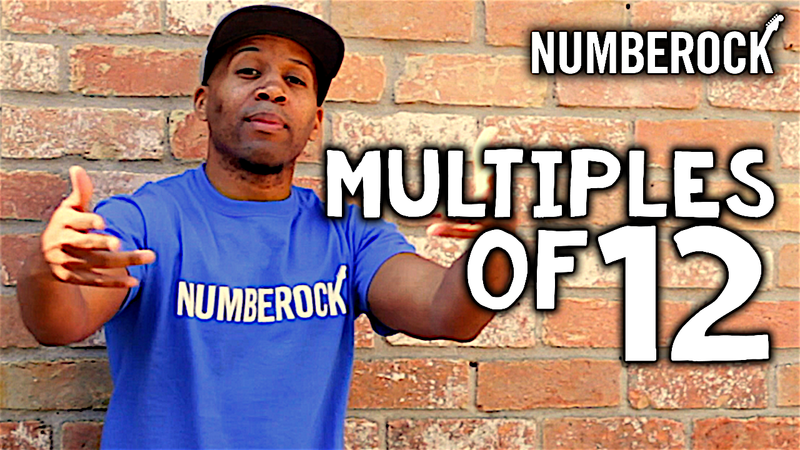 Fly through the air with the NUMBEROCK BMX team! 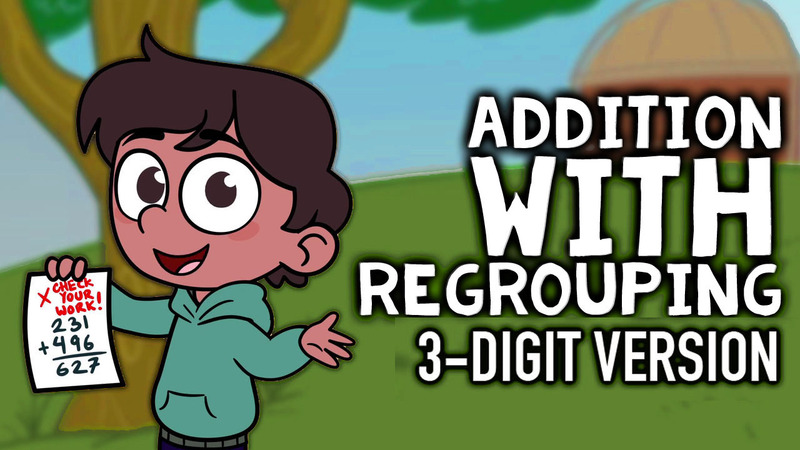 Add and regroup chickens and ants with Marcos and his brother, Jose, on their farm. 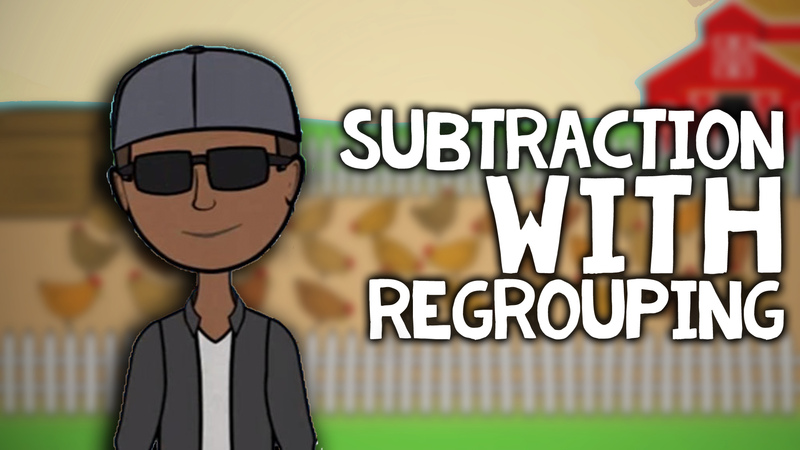 Farmer Jerry loves to rap about regrouping. 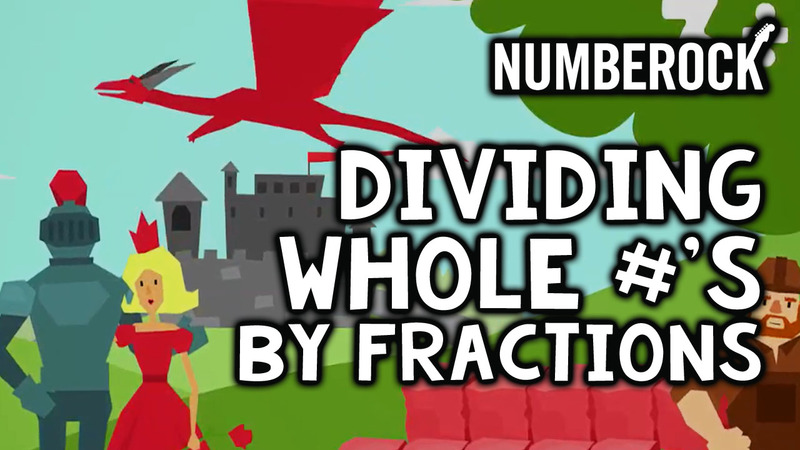 A journey into medieval times is the perfect setting to learn how to divide. 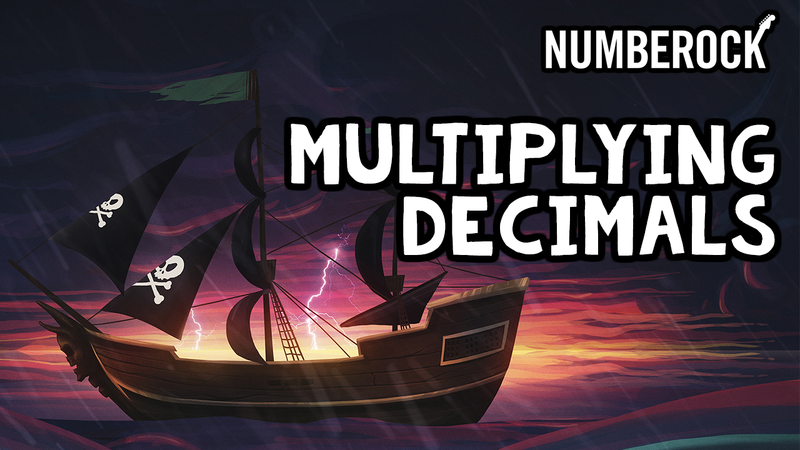 The NUMBEROCK crew explores deserted islands and follows the coordinates on an ancient coordinate plane. 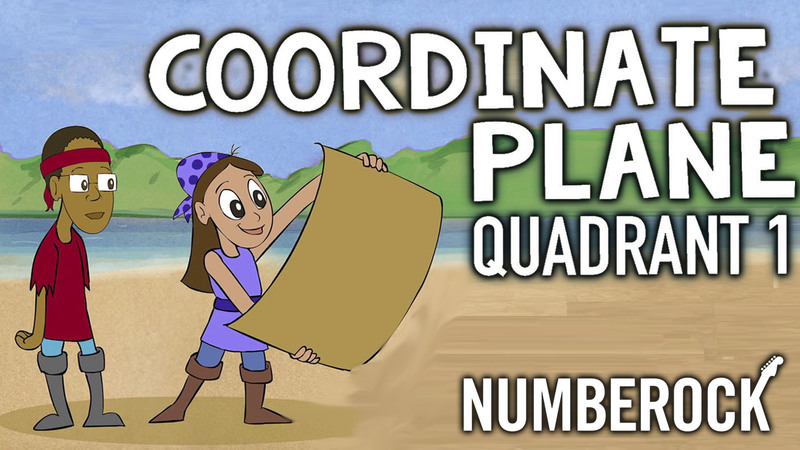 Come on this adventure and learn how to plot ordered pairs on a coordinate plane. 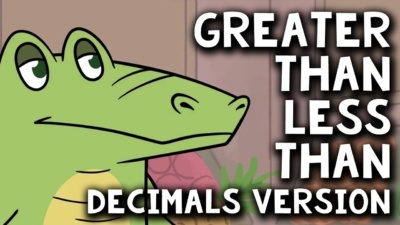 This decimals to percents song that teachers kids how to convert decimal numbers to percentages. 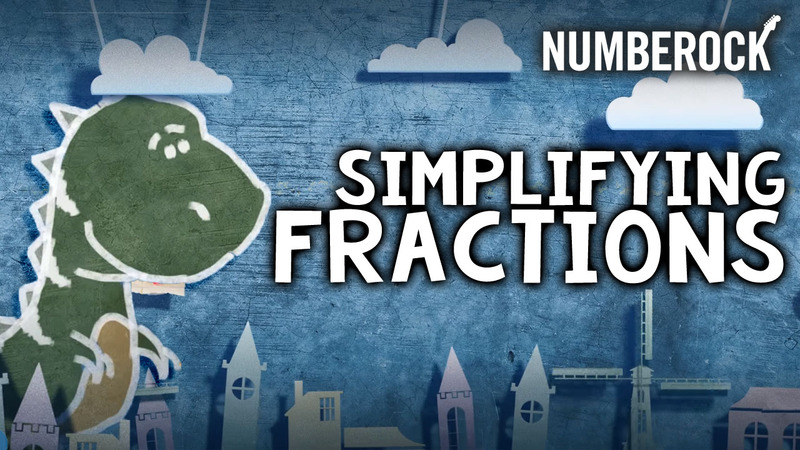 Memorize the meanings of fluid ounces, cups, pints, quarts, and gallons. 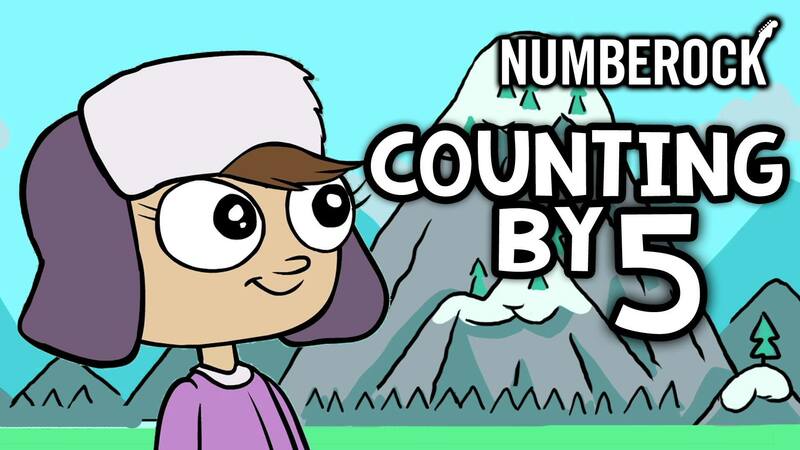 Skateboards, mountain climbing, billiards… Don’t you just love this stuff? 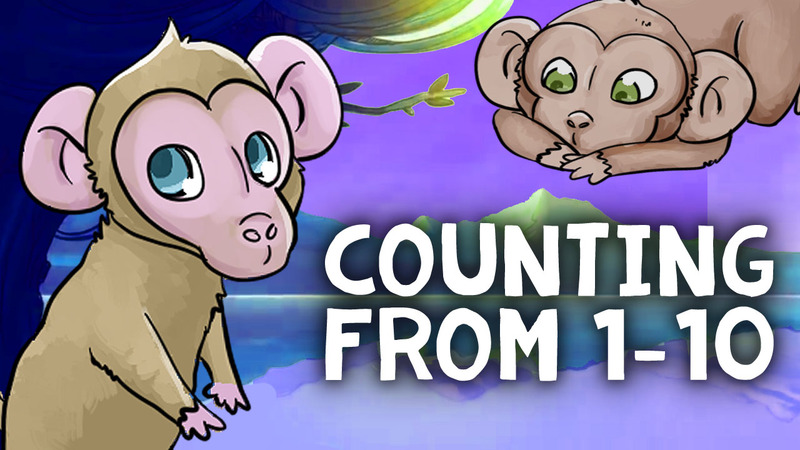 Gerald the Gerbil comes out to play while she counts 100 in the clouds. 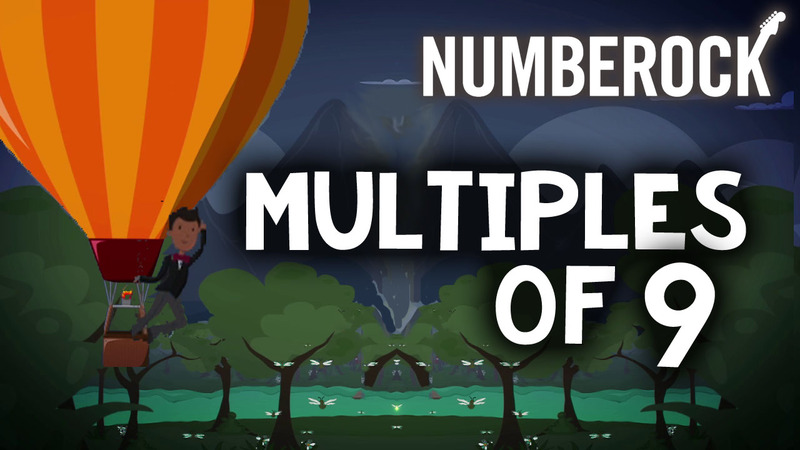 Divide, Multiply, Subtract, Bring Down, That’s how a quotient is found! 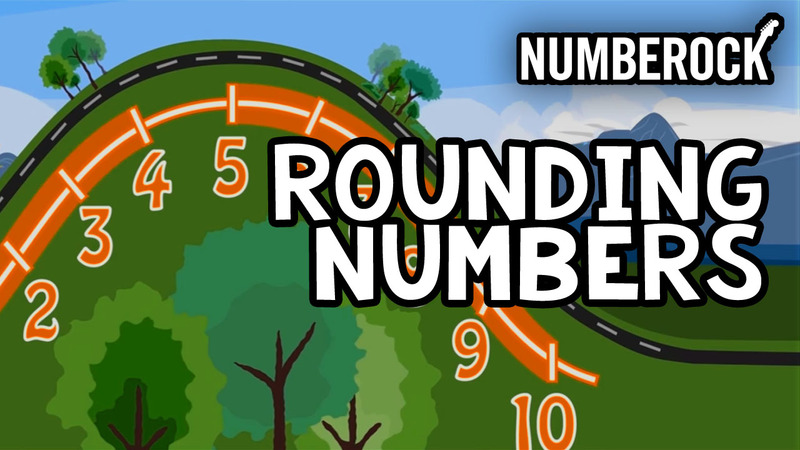 Rounding has never been as engaging as it is in this math song. 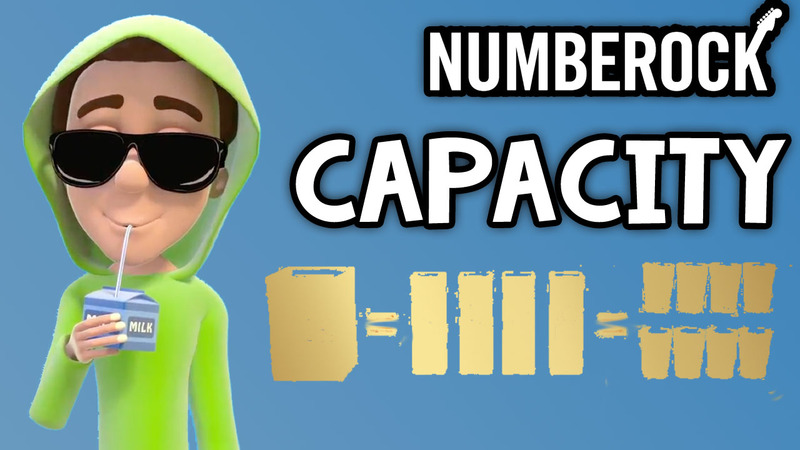 Find out some of Mr. Hehn’s tips and tricks to improve your results. 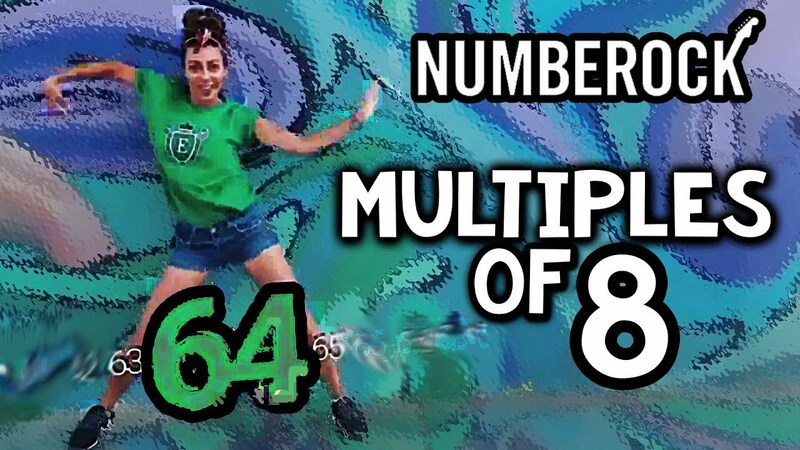 Check out our moves as we rock the 7s times tables. 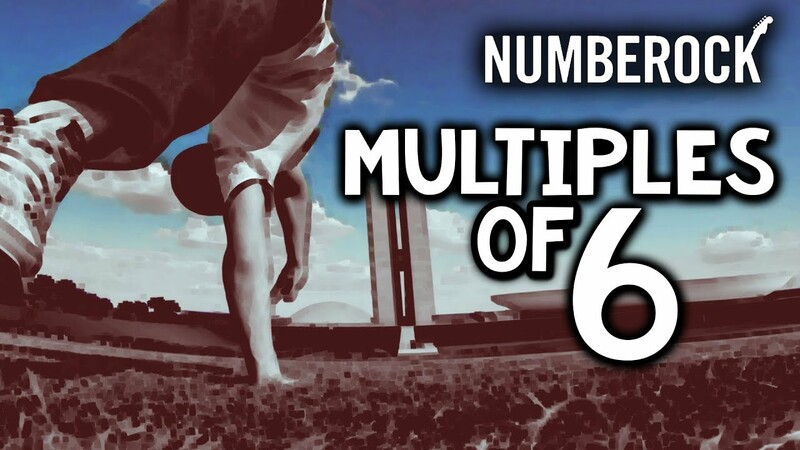 Learn the 6 tables with the NUMBEROCK parkour duo. 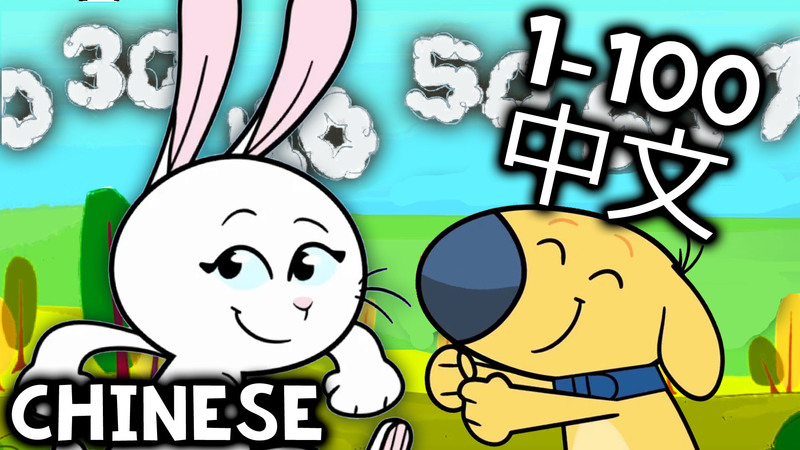 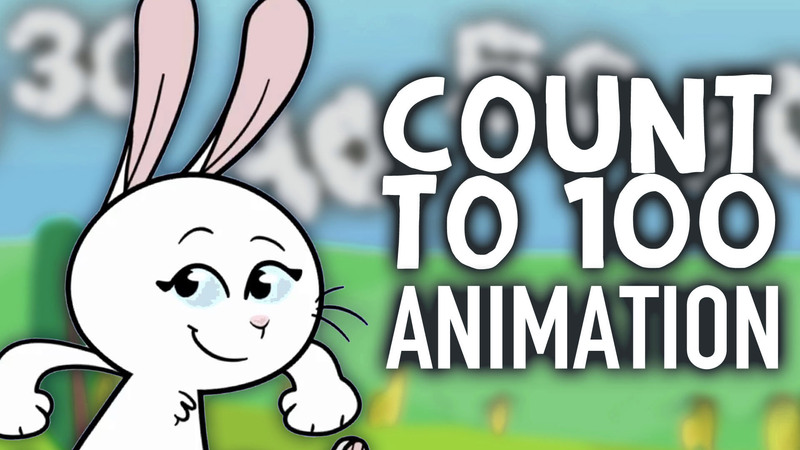 This song teaches how to count to the number ten with Dogs, Cats, Koalas, and more! 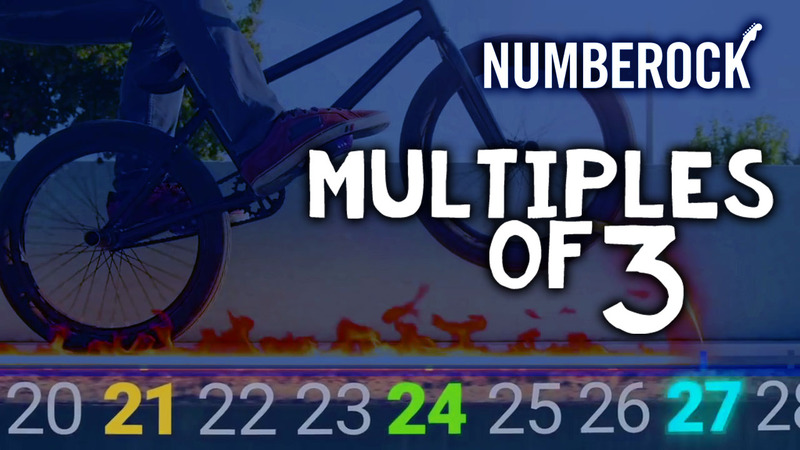 Grab your skateboard and turntables and get ready to rock out! 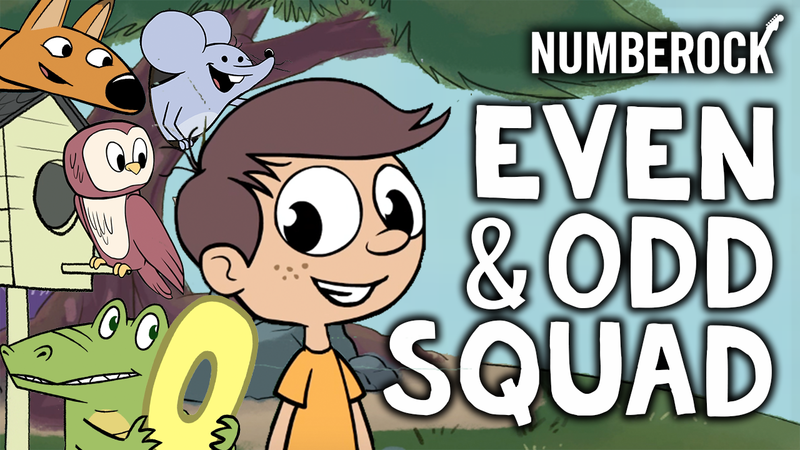 Come along with Kem as he embarks on the trip of a lifetime – an African safari! 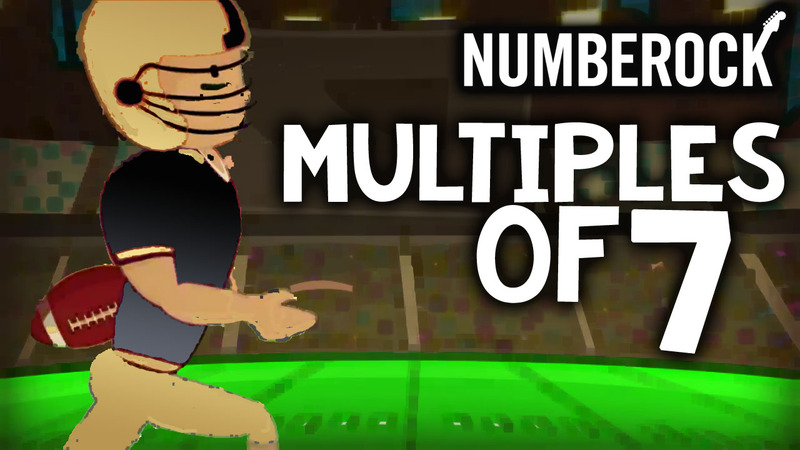 Put a helmet on as the players like to throw the ball into the stands! 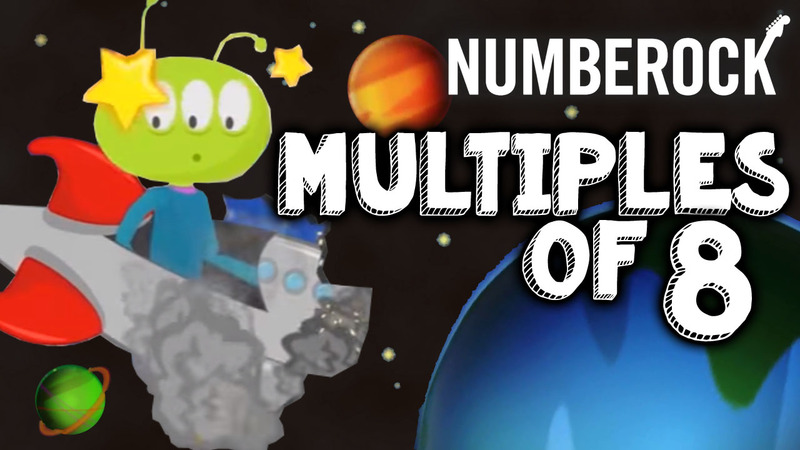 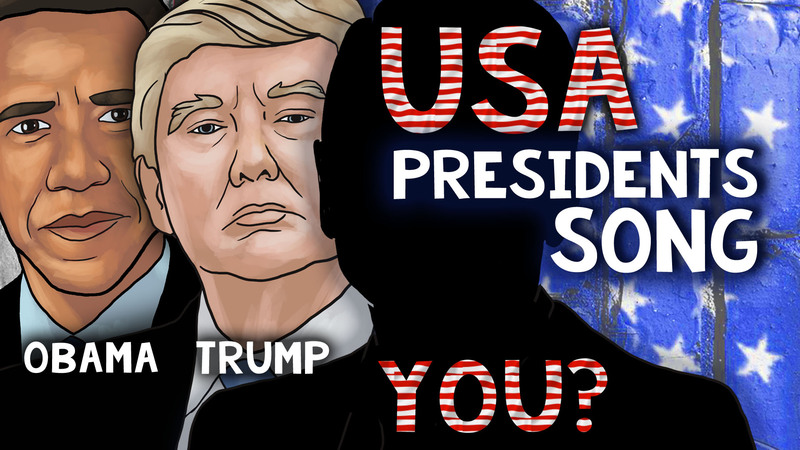 Join us on a far away foreign planet where alien life flourishes. 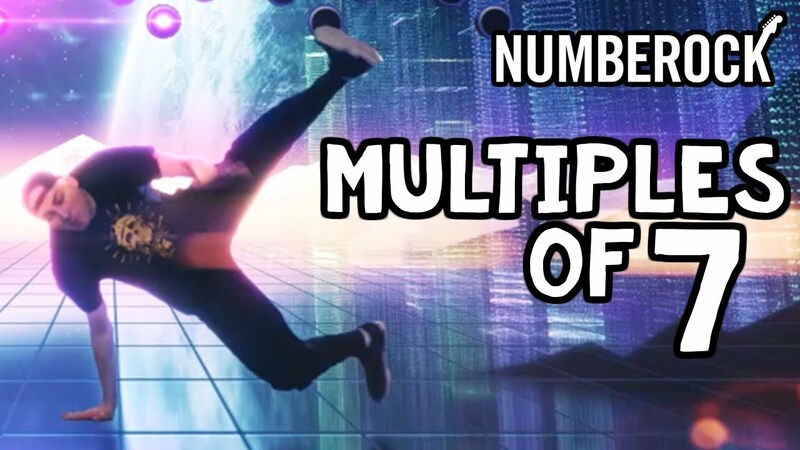 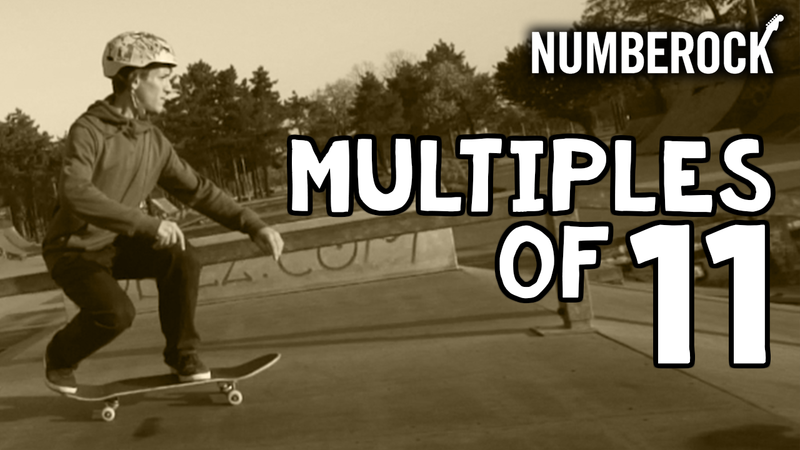 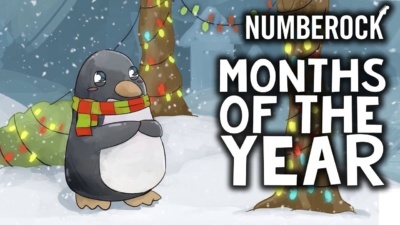 Jeremy skateboards, does parkour, and even magically elevates in this fun video about numbers. 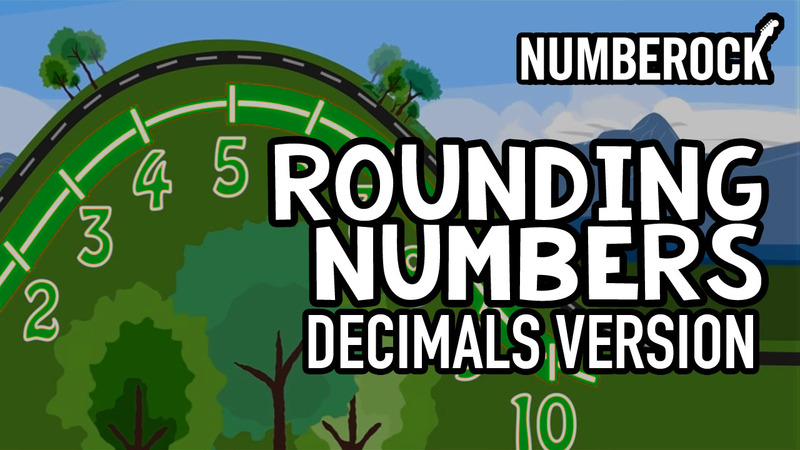 The NUMBEROCK crew lines up the tenths, hundredths, and thousandths while adding and subtracting decimals. 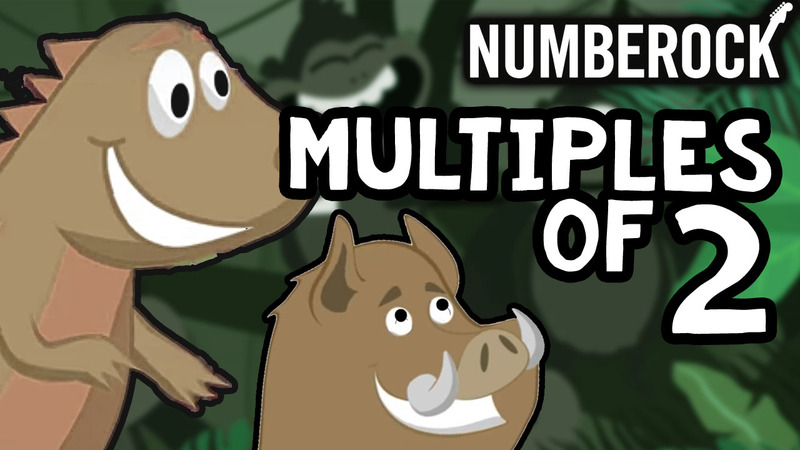 Count dinosaurs, wild boars, and more as we skip count by two to twenty-four! 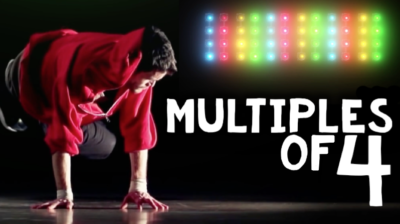 Master the 4 times tables through break dancing! 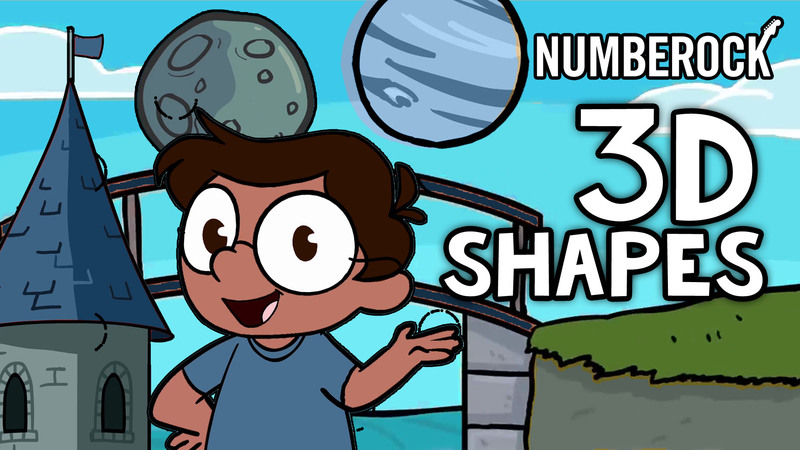 Follow Stan the Man on a tour through his house and yard as he multiplies. 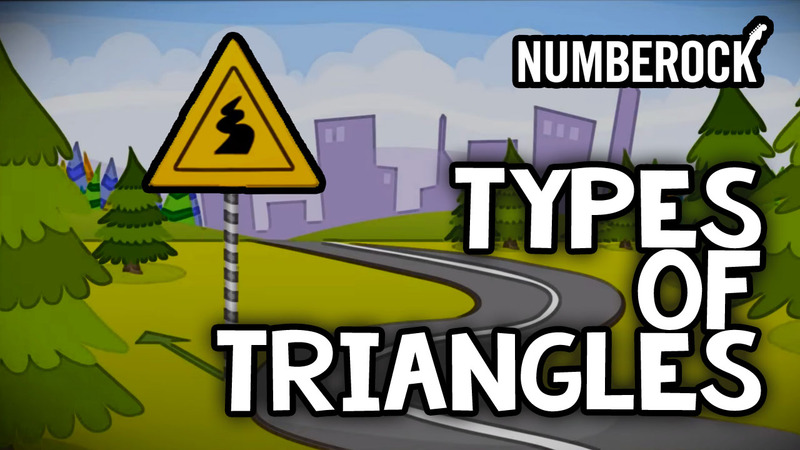 Cylinders, cones, rectangular and triangular prisms, spheres, and more are covered in this shapes video. 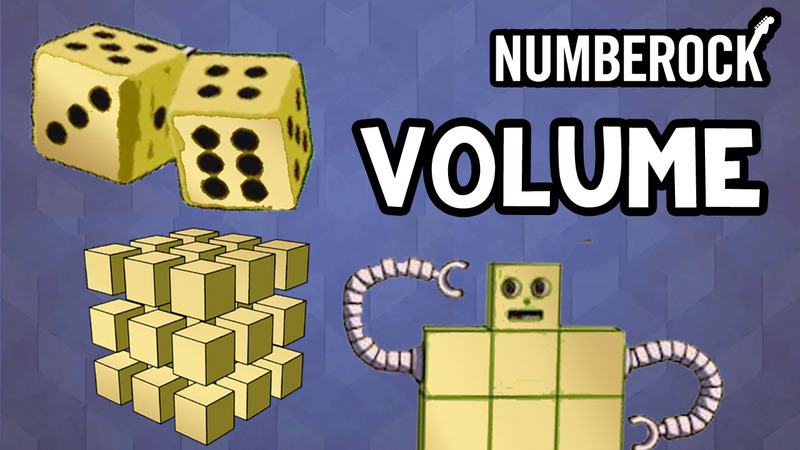 At the NUMBEROCK Club, DJ 6-Tables gets people up dancing to the 6 Times Tables. 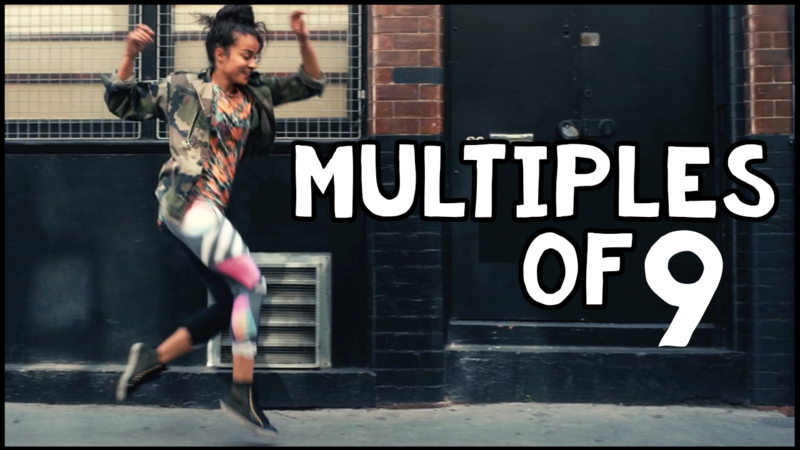 You are invited to dance on the streets with the NUMBEROCK Dance Crew! 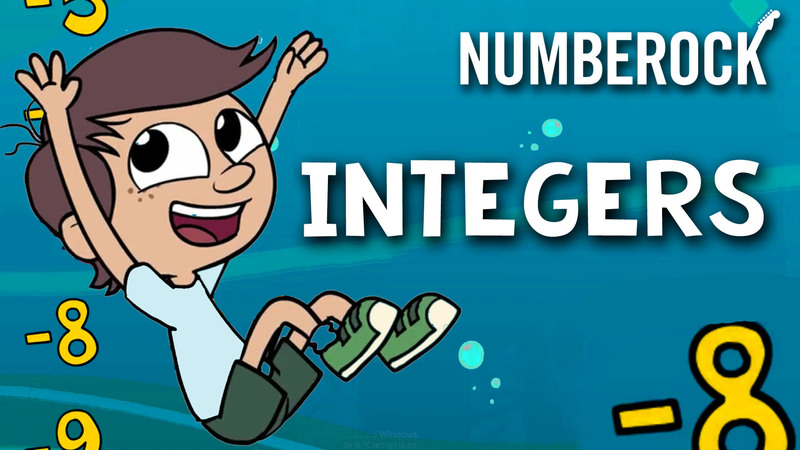 Hold your breath and dive into the sea to learn about multiplying decimals! 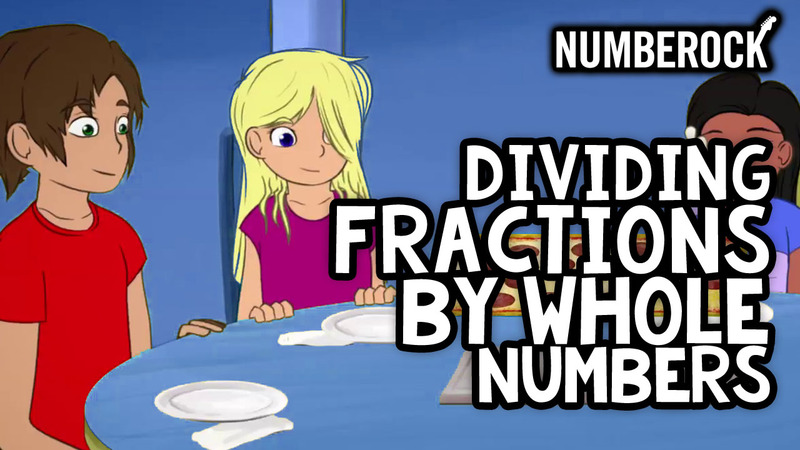 Join us on the beach at our favorite sea-side pizzeria to learn about dividing fractions. 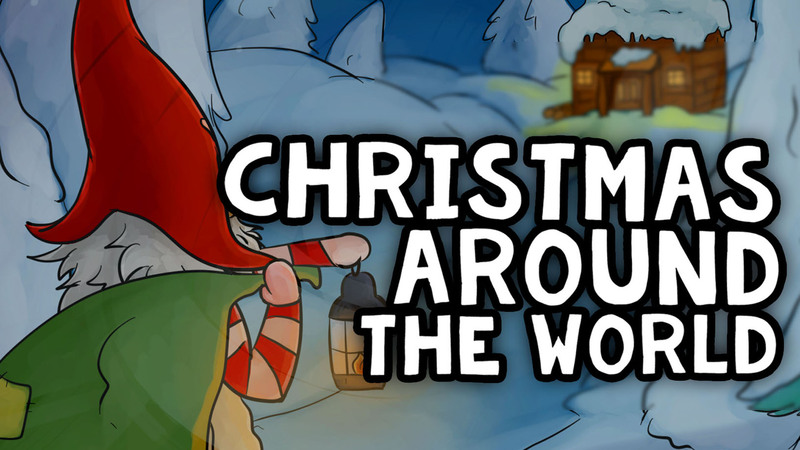 Learn about Christmas traditions around the world in this fun video. 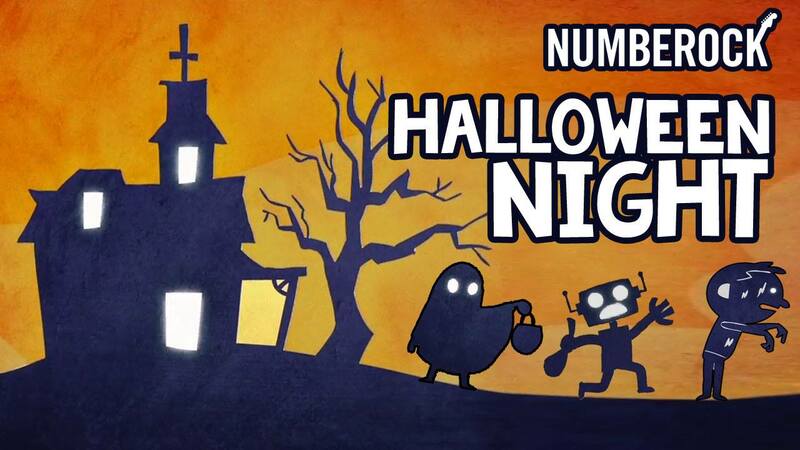 NUMBEROCK’s tribute to the night when candy flows beneath the moon’s glow!